The Intercollegiate Taiwanese American Students Association (ITASA) invites you to be part of our journey. The three-day 2017 East Coast Conference will take place on Feb 16 to Feb 18 at New York University’s main campus located in the thriving heart of lower Manhattan. 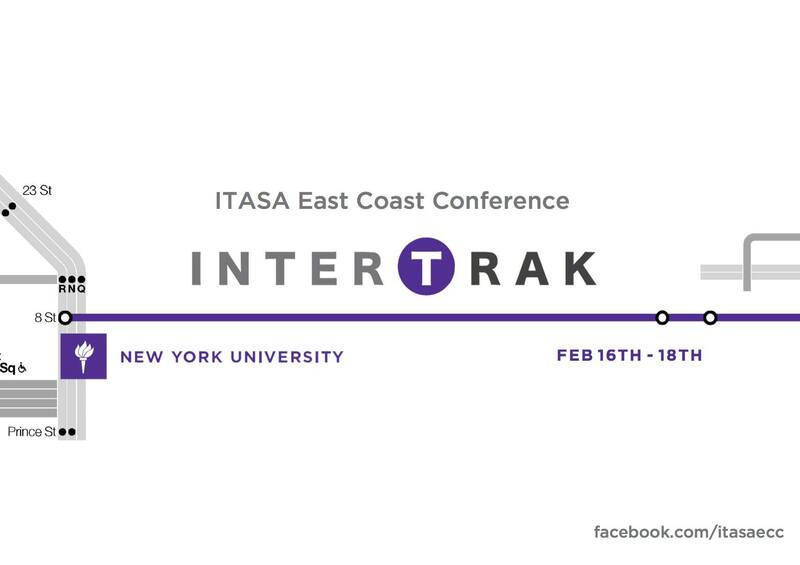 With this year’s theme of “Intertrak”, we hope that the beautiful vibes of NYC as well as the long history of its subway and metro systems will inspire you to attend ECC and connect with like-minded individuals! Life seems like a solitary train ride in which we do not always know what will happen next and who we will meet along the way. However, it is the process and experience that truly matters. You will also be surprised to discover how much in common you have with others- such as strangers on your commuting train- who are seemingly on a different journey from that of yours. Intertrak is a train that is speeding through a series of workshops covering cultural, personal and career developments. Intertrak invites passengers who identify with or are interested in Taiwanese American and Asian American culture. Boarding on Intertrak, we want passengers to connect with each other on a deeper level and build lifelong networks with like-minded individuals. Are you ready to share a ride with people who might become your lifelong friends?